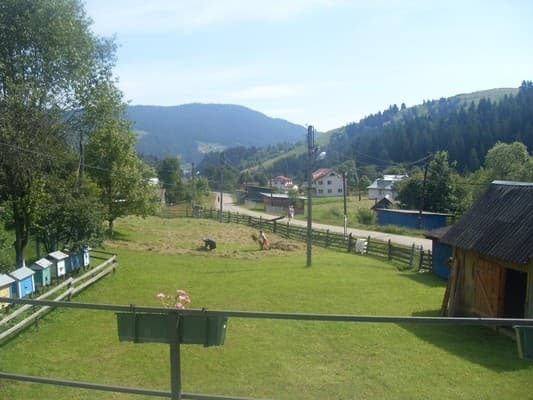 The farm "Yuryevyh" is located in the village of Verkhovyna, surrounded by mountains. Near the cottage flows a stream, to the house an asphalt road. 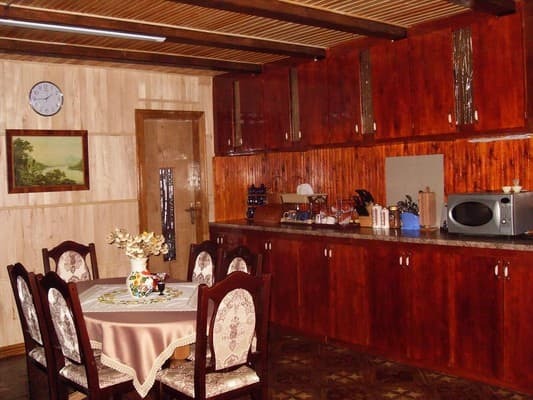 We offer accommodation in a two-story house, which can accommodate up to 8 people. On the ground floor there is a terrace-dining room with a music center, a 2-room suite (in one room there is a double bed and a TV, in the other - 2 sofa beds), a bathroom (WC, shower, bath). 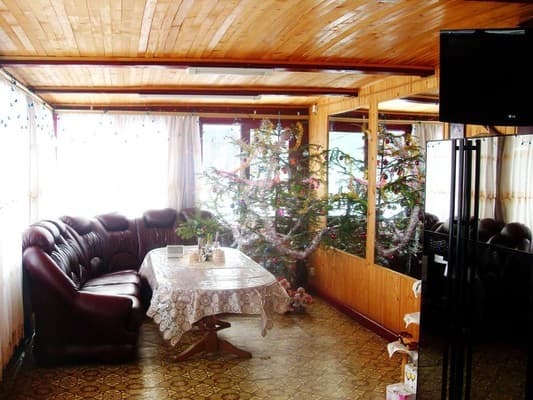 On the second floor - a double bedroom (double bed, TV), balcony. On the territory of the estate "Yurievs" there is a parking lot, a playground for mini football and badminton. 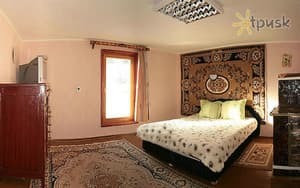 For an additional fee you can organize hikes in the mountains, excursions, horse riding, sleigh rides, fishing, picking berries and mushrooms with a guide. There is a transfer from the station and to the ski lifts. Constantly there is cold and hot water. The house can surrender completely. PRICES MAY CHANGE, YOU NEED TO UPDATE THE OPERATOR'S INFORMATION! 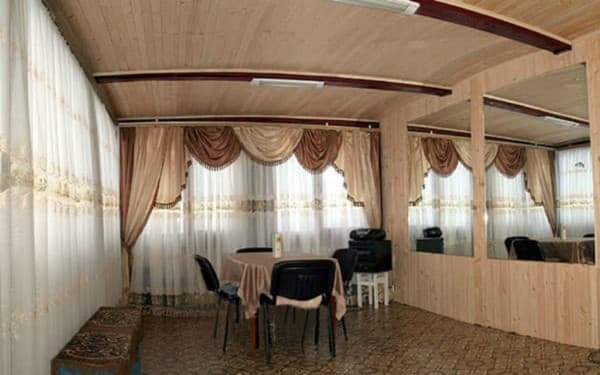 Description of the room: The room is located in a two-story house. In one room there is a double bed and TV, in the other - 2 sofa beds. A bathroom (toilet, washbasin, shower, bathtub) is located on the floor. Constantly there is cold and hot water. On the ground floor there is also a terrace-dining room with a music center. 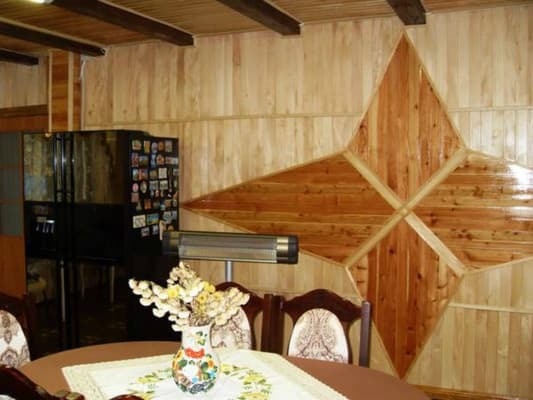 In the village of Verkhovyna, 800 m from the highway and the center of the village. Near the house is a forest. Before "Bukovel" 50 km. The nearest ski lift is 1.5 km away. To Verkhovyna by bus, shuttle from Ivano-Frankivsk, get off in the center, then take a taxi or the owners will meet their cars.